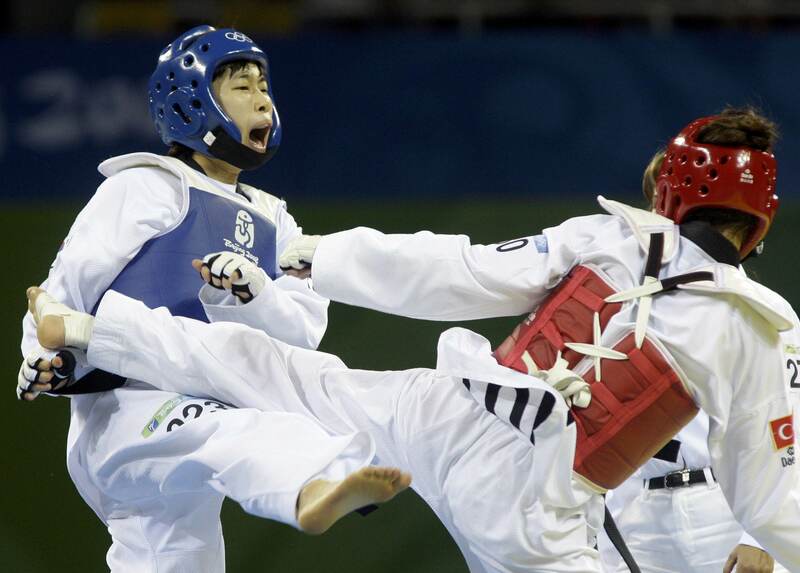 BEIJING -- South Korea's Lim Su-jeong won the women's 57kg class taekwondo event at Beijing Olympics on Thursday, beating Azize Tanrikulu of Turkey 1-0. Lim, world qualification events champion, had a point deducted in the first round, and got it back in the second round with a side kick to the opponent. The 22-year-old scored the decisive one point in the third round when there were only some 20 seconds left. Croatia's Martina Zubcic won the bronze medal match over Asian champion Su Li-wen of Chinese Taipei, who got her left knee injured in the preliminary match with Lim Su-jeong. In spite of the obvious disadvantage that she could only support herself on one leg, Su moved and waited for chances to attack. She managed to bury two kicks to the opponent's head and got four points, and also receiving two from Zubcic. The 27-year-old Su fell down on the mat several times due to unbearable pain. After a 4-4 tie in the regular three rounds, they went into a golden score duel, in which Zubcic scored with a roundhouse kick and won the medal. Zubcic said she just treated Su like any other opponent in the match and concentrated on her own tactics after winning her country the first Olympic taekwondo medal. Diana Lopez of the United States shared the bronze medal also with a golden score in the extra-time against Veronica Calabrese of Italy.